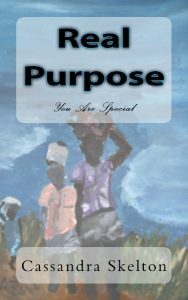 Real Purpose:You Are Special is one of four poetry books released with words penned during high school and college. A young artist, Haleigh, created the cover for this book of poems to depict that real purpose is merely being. An excerpt from Real Purpose: You Are Special. How can I look like that? Why even is it there? a disgrace to look at? Or is it just how we were raised? Buy eBook here. Buy print here.